Me encanta este árbol, luce muy primaveral. It's very eye-catching. It certainly catches your attention! Thank you! This was fun! 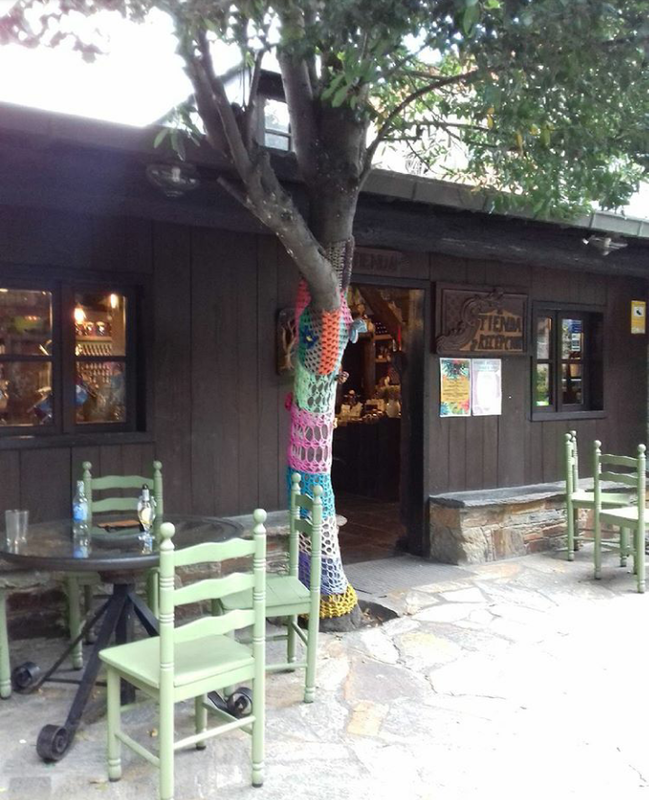 I've seen lights all over trees, but not knitting or crocheting a tree. Great photo. Fun find! So whimsical! Have a great weekend! Mega like!! Me imagino que se pasa genial en este local.